A Japanese court granted bail to ousted Nissan Motor Chairman Carlos Ghosn on Tuesday but prosecutors swiftly appealed the decision, delaying an immediate release of the once-feted executive after more than three months in jail. Judges at the Tokyo District Court accepted defence lawyers' assurances that Ghosn would submit to extensive surveillance and set his bail at $9 million, an apparent win for his new legal team on his third bail request. Prosecutors, however, are demanding that Ghosn - the architect of Nissan's automaking partnership with France's Renault and one of the global auto industry's most celebrated executives - remain in jail pending his trial. A release would allow Ghosn to frequently meet his lawyers and build a defence ahead of his trial. He faces charges of aggravated breach of trust and under-reporting his compensation to the tune of $82 million at Nissan for nearly a decade. As of Tuesday evening, Ghosn's bail had not been paid and it is unlikely he will be released during the day, Japan's Kyodo news agency reported. Nissan declined to comment on the bail decision, which comes a day after the head of Ghosn's new legal team said he was optimistic the executive would be released with a promise to submit to surveillance. It was not clear whether the appeal by prosecutors will be approved or rejected. The court could still decide later on Tuesday. If it rejects the appeal, Ghosn can be released after posting bail. There was a heavy media presence outside the Tokyo detention centre where Ghosn is being held, with throngs of reporters setting up ladders to get a clear sight over the tall fence. A helicopter briefly buzzed overhead. While his 1 billion yen ($9 million) bail amount would rank among the highest ever in Japan, it is half the amount paid in 2005 by Mitsuru Asada, a businessman who was later convicted of defrauding the government through a beef buy-back programme. Ghosn, who turns 65 on Saturday, has spent more than 100 days in a 4.8 square metre (52 square foot), tatami mat-lined cell. In his only court appearance, he said in January he looked forward to his trial to "finally have the opportunity to defend myself". In an interview later with Japan's Nikkei newspaper, he said Nissan executives opposed to his plans for closer ties with Renault were behind the allegations against him. The appointment last month of lawyer Junichiro Hironaka, nicknamed "the Razor" for his combative style, to lead Ghosn's defence was widely seen as a move to adopt a more aggressive legal strategy. Hironaka has argued the allegations should have been resolved as an internal company matter, and blasted the judicial system for keeping his client in jail. 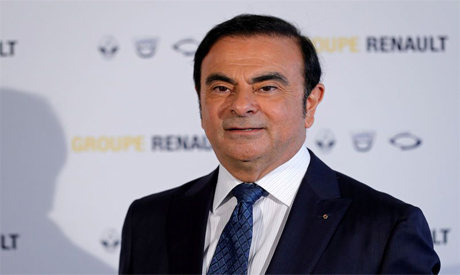 Ghosn's France-based lawyers meanwhile revealed on Monday they had complained to the United Nations that his rights had been violated during detention in Japan. Ghosn nonetheless faces a criminal justice system where only three of every 100 defendants pleading not guilty are acquitted.